Board members David Goris and Myrna Blair accept the award on behalf of the Grand Island Board of Education. Members of the Board of Education of Grand Island Central School District was honored for their outstanding collaborations at the annual Erie County Association of School Boards (ECASB) dinner held on June 10, 2010 at Salvatore�s Italian Gardens. Each year, the ECASB honors a Board of Education with the Excellence in Collaboration Award sponsored by Hodgson Russ LLP. The award is given to educational collaborations between a school district and at least one partner whose program has propelled the district toward greatness, has the potential to be replicated elsewhere and is unique, exemplary and goes above and beyond the ordinary. Grand Island Central School District�s Board of Education was selected to be among the award winners, specifically for their School Board - Town Board Partnership. For over three years the Grand Island Board of Education and the Grand Island Town Board have met quarterly to discuss and resolve issues of mutual concern. �There was a need to create a vision for how both Boards can better serve our students and the Grand Island community in a collaborative and mutually supportive manner,� states Robert Christmann, superintendent of Grand Island Central School District. The Board of Education and the Town Board recognized that in a time of declining resources and with both Boards serving the needs of the same residents, every effort should be made to collaboratively plan for mutual services and programs, with a common vision for the future. Agendas are based on input given to the town supervisor and the superintendent of schools by individual Board members. The meetings have proven to be effective with successful outcomes as a result of efforts from both Boards. Outcomes of the collaborative efforts made by both Boards include the creation of a signed agreement detailing the services each Board will provide to the other at no additional cost. For example, the Town Recreation Department heavily uses both indoor and outdoor school venues while the Town provides an extensive number of services such as plowing, grass cutting, outdoor lighting and parking lot and water line repairs to the school district. This mutual Inter-Municipal Agreement saves taxpayer dollars and assists the residents in a positive manner. Many committees have also been formed with members representing each group. The Board of Education needed a Facility Advisory Committee to study what to include in its recent capital project proposal and Town Board members were represented. In turn, the Town Board has an Economic Development Advisory Board which includes the school superintendent and school Board members with both Boards working closely to promote a higher level of private sector growth to benefit Grand Island residents. A Communications Committee, which includes both Boards, was designed to negotiate a new Time Warner contract and to determine how the two Boards can use technology services in the schools and in the community to benefit students and residents. Both Boards have committed funding to explore internet and cell options within Grand Island. Currently the school district�s transportation facility is not capable of meeting the bus service demands for maintenance of the fleet and other major pieces of equipment. The Town Board applied for and was successful in receiving a $35,000 state grant to explore the feasibility of a shared Board of Education/Town Board maintenance facility. Staff from both the Town and School District serve on this planning committee. Another outgrowth of these meetings was the formation of �One Island-One Team,� a committee which plans activities to eliminate drug and alcohol abuse among students and adults. Members of both Boards are active participants in this group including the town supervisor, town council members, school board members and the school superintendent. School programs and community based activities are initiated at these monthly sessions designed to create a higher level of awareness of the problems relating to drug and alcohol abuse on Grand Island. Standing room only crowds from previous Moving �Up Day ceremonies prompted this year�s change in venue to the Grand Island High School auditorium. 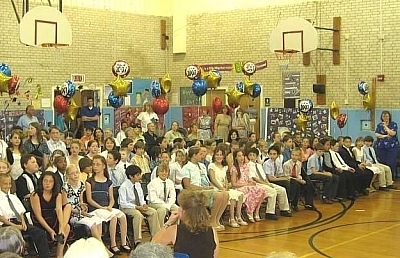 Grand Island Central School District Moving-Up Day ceremonies recognize the transition of fifth graders from elementary to middle school. This year, Moving-Up Day for both Huth Road and Kaegebein Elementary Schools will be held in the Grand Island High School auditorium. The ceremonies will take place on Monday, June 21 with Huth Road Elementary School�s celebration scheduled from 9:30 - 11:00 a.m. and Kaegebein Elementary School�s from 1:00 - 2:30 p.m. In future years, these schools will alternate time slots between morning and afternoon ceremonies. It was necessary to relocate Moving-Up Day celebrations to the high school auditorium to accommodate the large audience that typically attends this ceremony. �This is an exciting day for our fifth grade students, their families and friends, as well as our faculty and staff. We want everyone to be comfortable while celebrating our students' accomplishments,� states Kerri Nowak, Huth Road Elementary School principal. The annual event proudly celebrates fifth graders through awards and recognitions for student accomplishments and special achievements. The departing class leaves their mark behind as they present a class gift to the school. Faculty and staff also have the opportunity to formally wish the fifth graders good luck as they transition to life in sixth grade. 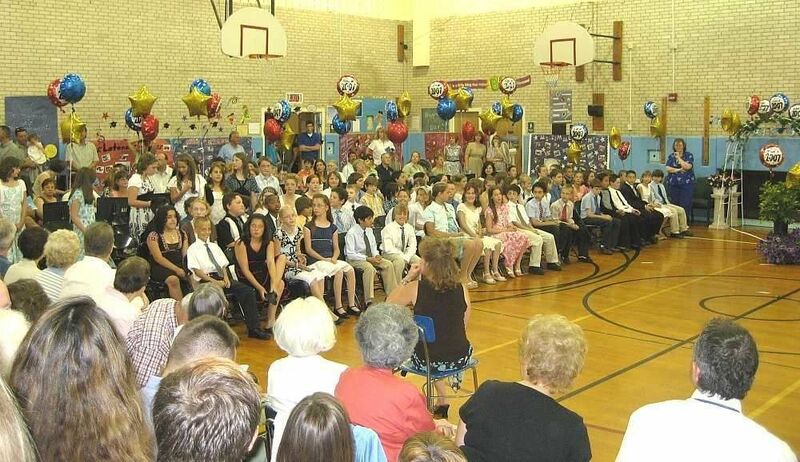 �This time honored tradition of honoring the departing class is something we, as educators, look forward to each year. We are very proud of our students and wish them well as they continue their education,� said Mary Haggerty, Kaegebein Elementary School principal. Students and their families are invited to a reception immediately following the ceremonies in the Grand Island High School Viking Mall. The Grand Island School District will hold an informational meeting regarding the International Baccalaureate program 6:30 p.m. Tues., May 25 in Veronica Connor Middle School Little Theater. Parents/Guardians of current 5th grade students who anticipate their children will be attending Connor Middle School next year, are invite to an orientation. The program will be held on Tuesday, June 1 at 6 p.m. in the High School Auditorium followed by a tour of the building. The orientation is for parents only and will last approximately an hour and a half. Future Sidway students, along with their parents, had their first taste of an afternoon at school when they attended Kindergarten Orientation on Tuesday, May 18th at Charlotte Sidway Elementary School. The afternoon began in the gym where parents and �Kinder-Kids� were greeted by faculty and staff members. �Kinder-Kids� were escorted out of the gym while parents remained for an informative presentation. The session began with a warm greeting from Superintendent Robert Christmann, followed by opening remarks from Denise Dunbar, Charlotte Sidway Elementary School principal. Parents spent the afternoon learning about a variety of topics including, health related issues, PTA, looping/inclusion classes, bus safety and what a typical kindergarten day will be like for their child. While parents were learning about kindergarten life, the children had a chance to experience it. �Kinder-kids� were divided among various classrooms where they spent the afternoon singing, reading, playing and enjoying all that kindergarten has to offer. Once presentations were complete the parents picked up their children and headed off together to experience a ride on the big yellow bus. The afternoon ended with the opportunity for families to take an unguided tour of the school � a place they will soon become very familiar with this coming fall! See "School Hours For Students." The Grand Island Central School District had four candidates who filed petitions to run for two (2) three-year terms. Elected were Donna Tomkins with 1248 votes, and Paul Krull with 1016 votes. Also running for election were incumbents Neil Seaman (434) and Thomas Franz (437). The school district budget ($51,881,233 million) was approved by a vote of 1285 to 588. Proposition 1 (school bus proposition) was approved by a vote of 1218 to 639. Polls were open between 10 a.m. and 9 p.m. in the Grand Island High School gym. 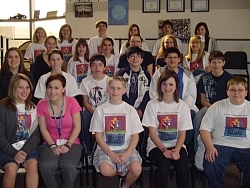 The Grand Island School District�s Community Education Summer 2010 session will begin on July 6, 2010. The brochures will be distributed the week of May 24th to the students at the Grand Island Elementary Schools. The brochure and registration form are also available online at k12.ginet.org (click under the Departments and Svcs section). 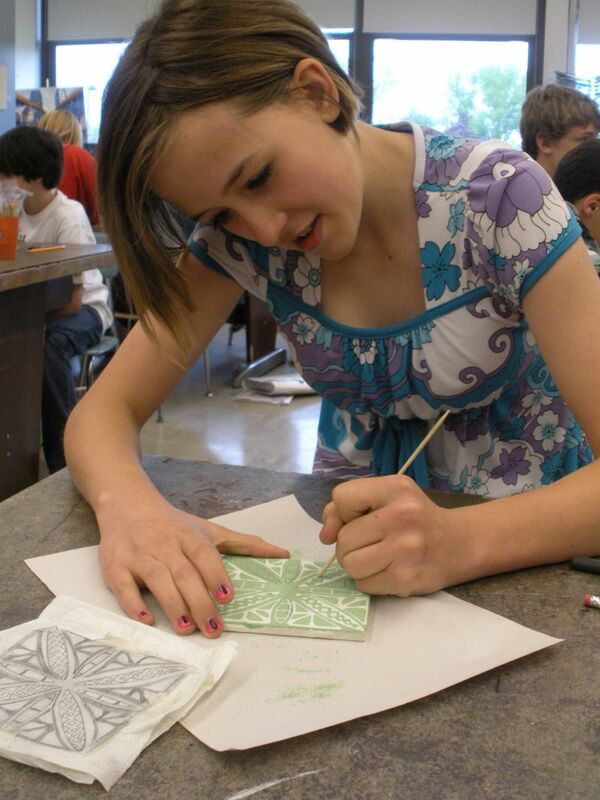 Pictured, eighth-grade art students Ali Price (painting) and Brittany Little (ceramic tile) work on two pieces which will be on display at the district-wide show. Works by hundreds of student artists will be on display in the Viking Mall of Grand Island High School Monday, May 17th (and during that week) as the Art Department of the Grand Island Schools presents its annual district-wide art show. 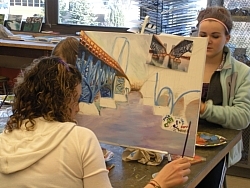 Students in grades K-12 have eagerly been preparing works in anticipation of the yearly event. Designed to showcase the ways in which district students are meeting the rigorous NYS Art Standards for the Visual Arts in their classes, as well as displaying individual accomplishments by student artists, the show will open with a reception for artists and their families on the evening of May 17 from 6:30 p.m. to 7:30 p.m. The public is cordially invited to view the students� work and to share in their teachers� and families� collective pride as they view the unique artistic points of view, creative solutions, visual problem-solving and individual artistic voices on display. Grand Island Central School District will hold a lottery to determine enrollment for the 2010-2011 Universal Pre-kindergarten (UPK) program. An open meeting will be held on Thursday, June 10th at 2:00 p.m. in the Grand Island Senior High School auditorium to announce the results of the UPK lottery. All interested parents are welcome to attend. Notification letters and phone calls will be made to parents in the weeks following the lottery to confirm the specific location and session assignments for the incoming UPK students. To be eligible for the program a child must be 4 years old before December 1, 2010 and a Grand Island resident. Half day sessions, five days per week are offered at Charlotte Sidway Elementary School (morning and afternoon program) and also at Care-A-Lot (morning only). UPK applications are available on-line at www.k12.ginet.org. Appointments must be made in advance to register your child. 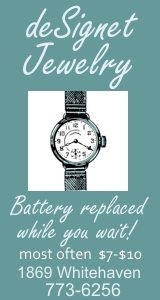 Please call 773-8800 to schedule an appointment. The application deadline is Friday, May 28, 2010. The last appointment to register on this date will be 3:00 p.m.
On Tuesday, May 18, Grand Island residents will vote to fill two seats on the Board of Education of the Grand Island Central School District. The Budget/Trustee vote will be held from 10:00 a.m. to 9:00 p.m. in the Grand Island High School gym. The following residents have turned in petitions to run for three open board seats on the Board of Education. Those running are Donna Tomkins and Paul Krull, and incumbents Neil Seaman and Tom Franz. Three biographies follow. FAMILY: Wife Fran, and three sons who are students at Grand Island HS. 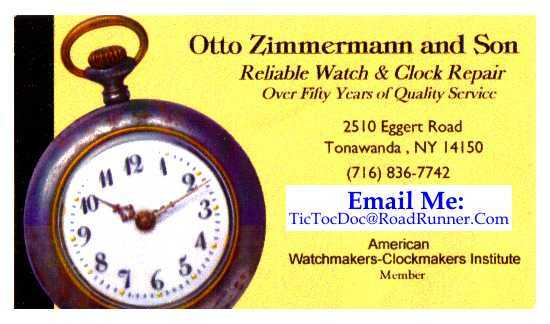 OCCUPATION: Weather Observer at Niagara Falls Airport, also a reservist with the 107th Airlift Wing NY Air National Guard for over 30 years. INTERESTS: I enjoy attending athletic and school related events, especially when my children are involved. I am interested in local WNY history, particularly the 19th century growth of our area and the possibilities for the future that may be found by looking to our past successes. EXPERIENCE: Seven years of board service. During the time I�ve been privileged to serve, the district financial situation has gone from a fragile fund reserve balance to a healthy state. Encouraging a strong financial discipline has enabled Grand Island to maintain and even enhance our educational programs, while other local districts face a bleak outlook that includes teacher layoffs. The past 3 years have seen an overall average of less than 1% increase in the local tax rate. The projected 2010-2011 budget calls for a 1/4% increase in the local tax rate. I am committed to wise spending of the tax dollars we ask our local taxpayers to approve each year. I advocate for a strong curriculum with a primary emphasis on student academic achievement that encompasses co-curricular and extra-curricular activities. Recent Buffalo First rankings show steady yearly improvement across the board with the last summary putting us in 7th place out of 98 WNY school districts. REASON FOR SEEKING BOARD SEAT: As a member of this community I feel a need to volunteer to make a difference. It is not my belief to sit back and assume that nothing ever changes and that your voice is meaningless. I will continue to investigate and advocate for educational programs that address the 21st century learning needs of all our students. I believe that the real savings in costs to the district will come through negotiating union contracts favorable to taxpayers and teachers based on economic reality, not by denying innovative programs to our students. I won�t fight to maintain the status quo �because that�s the way we�ve always done it�. The economic playing field has changed and protecting one�s turf at the expense of others is no longer acceptable. We must look at the district as a whole and realize that a strong capable teacher in the classroom with a challenging curriculum leading to successful HS graduates is our reason for being here. Everything else is secondary to that. FAMILY: Donna and her husband, JT, Grand Island Highway Superintendent (Grand Island Class of 1974), have two sons, Nicholas (Grand Island Class of 2008) and Benjamin (Grand Island Class of 2011). OCCUPATION: She is the Corporate Travel Agent for Sevenson Environmental Services. INTERESTS: She loves to travel, golf, read and watch her children play sports. EXPERIENCE: She has a vast amount of experience serving on various educational, community and social boards. She is currently on the Grand Island Parks and Recreational Advisory Board, The Wilson Elderly Housing Board, the Niagara PAL (Police Athletic League) Board, the Grand Island Relay for Life Committee and is the Porter Cup Golf 18 Hole Scoring Chairperson. She has also served on the West River Homeowners Association Board, the HANCI fundraising committee, the Grand Island Co-Op Nursery board, was chairperson for various committees for Sidway PTA and was the treasurer and recording secretary for Kaegebein PTA. FAMILY: Married to Bonnie for over eight years. We have one daughter (Abigail) who is in the second grade at Huth Road School. OCCUPATION: Employed by the Erie County Department of Social Services, Employment Division. EDUCATION: A.S. degree from Erie Community College (high honors) Currently attending Buffalo State College (GPA 3.41). INTERESTS: Playing golf, fishing, bowling, and enjoying activities with my family. EXPERIENCE: Two years as coach/asst. coach of my daughter's t-ball teams. Fifteen plus years as president of the Grand Island Golf Club. Former president/vice president of the men�s inter-church softball league (in Niagara Falls). Twelve plus years as a New York State certified bowhunter instructor. Certified Six Sigma yellow belt from UB School of Engineering and Applied Sciences. REASONS FOR SEEKING BOARD SEAT: It is time to bring some new and fresh ideas along with common sense to the board and that�s what I intend to do. Bring a more open and positive process during the budget period to show all Grand Island taxpayers where the money is going. It's time for change and I am the person who can do it. Front Row: Kim Yaeger, Zaineb Khawar, Alex Bahgat, Maggie Nobumoto and Kourtney Hoppel. Row 2: Laura Dolan, Sarah Ernst, AmyJo VeRost, Samantha Pangborn and Megan Carroll. Row 3: Rachel Bailey, Mark Hughes, Ben Purrington, Marina Scerra and Stephanie LoTempio. Row 4: Aaron Schauger, Dalton Pitts, Collin McMahon, Ashley Scirianni and Ellen Lutnick. Missing: Jacob Dixon, Keelan Erhard, Jane Cooke. 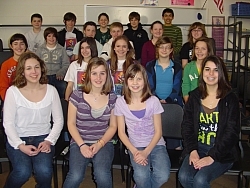 Middle School Chorus Front row: Abigail Chambers, Ashley Dragonette, Corey Wilkinson, Jenna Stuflosky and Elliot Michki. 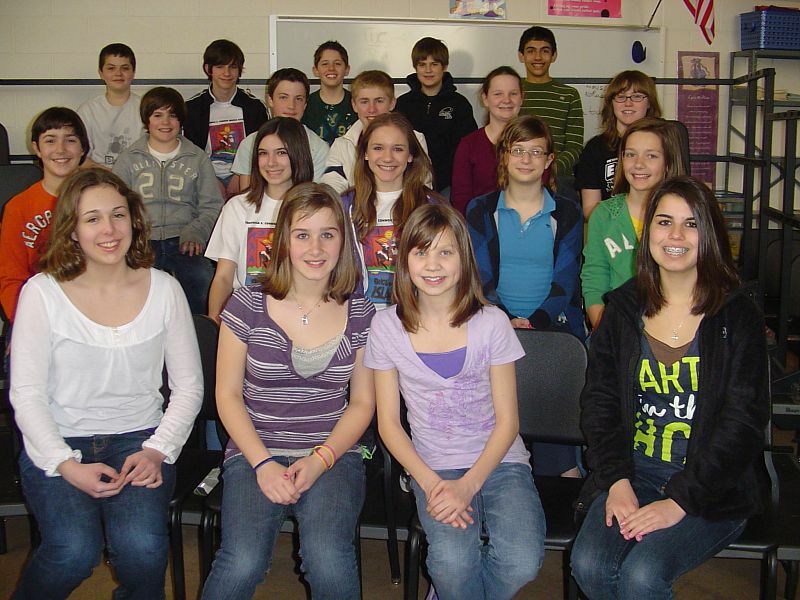 Row 2: Meaghan O�Leary, Hannah Bastian, Vincent Malpica, Shawn Passarro, Michael Brown and Jack Gorman. Row 3: Maggie Rustowicz, Kate Fonte, Natalie Baldasarre, Nancy Dahlquist, Alyssa Pelosi and Maddy Mitchell. Row 4: Chelsea Sinicki, June Ann Chadima, Christopher Swagler, Alyssa Karb, Shamus Johnson and Cassie Gilcart. Instrumental Front row: Stephanie Voyzey, Jillian Sheehan, Emma MacIntyre and Anna Nicolia. Row 2: Ryan Allen, Jessica Ackendorf, Rebekah Gaydosh, Ashley Franz and Carly Bernatovicz. Row 3: Eric Riederer, Tim Winder, Andrew Riederer, Lauren Rogoza and Robin Neary. Row 4: Eric Dudley, Andrew Dyet, Zachary Jones, Anthony Grana and Alexander Cousins. Missing from photo: McLain Erhard. 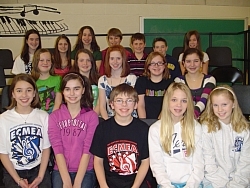 Many Grand Island music students participated in this year's Junior High All-County Music Festival held at Amherst Middle School on Friday and Saturday March 19 & 20, 2010. The two-day event culminated in a concert on Saturday afternoon. 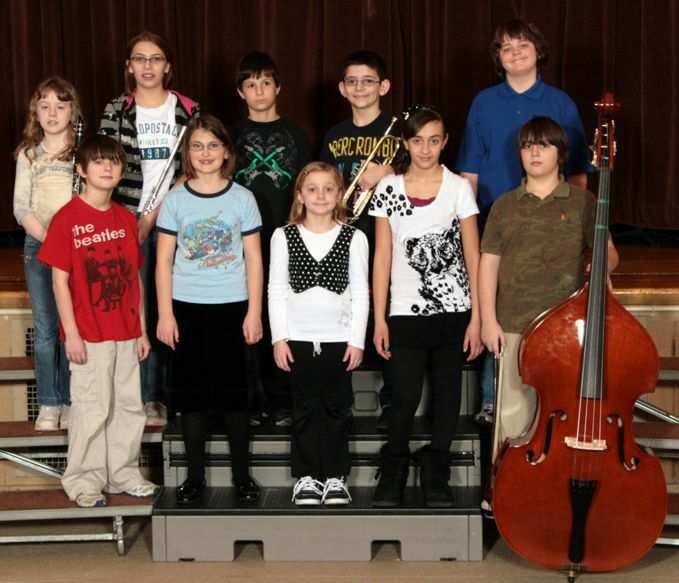 These select groups included band, chorus and orchestra and are composed of the best junior high musicians in Erie County. Front Row: Emily Nobumoto, Emma Smith, Eric Pease, Emelie-Jo Scheffler and Sydney Keane. Middle Row: Christina Sutton, Cailin Atkins, Maya Harper, Brianna Wik and Maria Ramsperger. 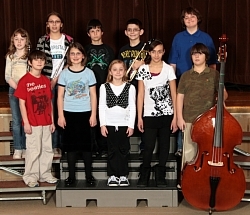 Back Row: Cassie Shickluna, Ashley Giambra, Maddi Brown, Adam Dryfhout, Adam Bevilacqua, Max VeRost and Justine Cardone. Front Row: Kathryn Merletti, Samuel Eichel and Claire O'Connor. Back Row: Sarah Swagler, Kevin O'Leary and Amanda Jordan. Pictured from left to right are students from Kaegebein Elementary School, Huth Road Elementary School and Veronica Connor Middle School. Front row: Sam Sommer, Mirana Wittmann, Heather Michki, Julia Cousins and Stephen Parisi. Back row: Kaitlynn Tuohy, Emma Schultz, James Franz, Nick Rallo and Brandon Schoener. 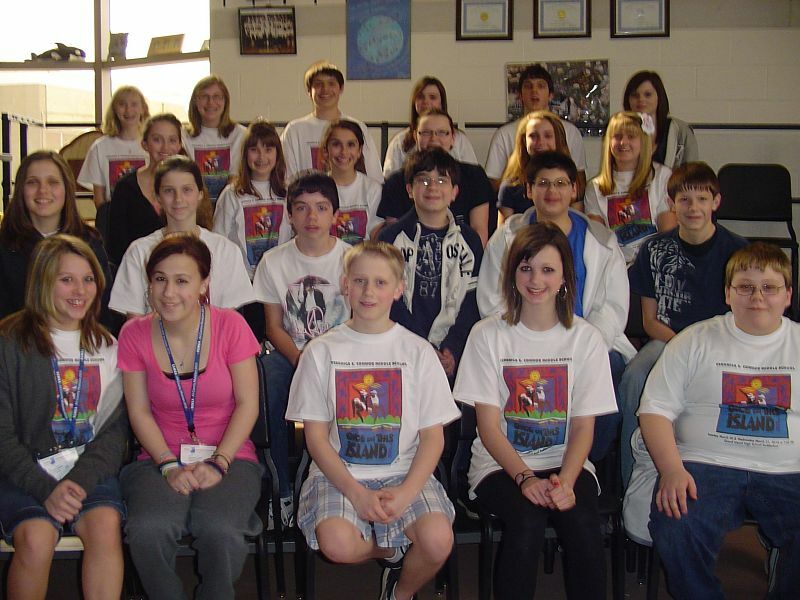 Select Grand Island music students had the honor of performing on Saturday, March 13 at Kleinhan�s Music Hall. 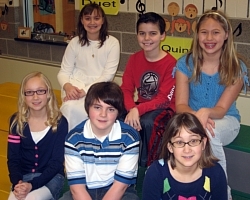 The students were chosen from hundreds of fifth and sixth-grade students from all of Erie County to perform in the Elementary All-County Band, Chorus and Orchestra. 1. REQUEST AN APPLICATION. Call (773-8801) or write the District Clerk, Janet Schuster, Grand Island Central School District, 1100 Ransom Road, Grand Island, New York 14072, for an application. 2. RETURN YOUR APPLICATION. Once you have completely filled out the application for an Absentee Ballot, you must return it to the District Clerk�s Office located in the District Offices adjacent to the High School. It may be mailed or hand-delivered, but must be received at least 7 days before the election in order for the ballot to be mailed to the voter. 3. FILL OUT YOUR BALLOT AND TURN IT IN. Assuming the above instructions have been properly completed and you have qualified for an Absentee Ballot, you will receive a ballot in the mail which will contain the same information as the ballot on the day of the vote. Follow the instructions on the ballot and either mail it or hand deliver it to the District Clerk�s Office. However, it must be received by the District Clerk�s Office no later than 5:00 p.m. on the day of the vote (May 18, 2010). The IB Program � What�s It All About? Grand Island High School continues to actively pursue authorization to be able to implement its International Baccalaureate (IB) Program. IB schools share a common philosophy � a commitment to high quality, challenging education, a philosophy that GIHS believes is important for all its students. 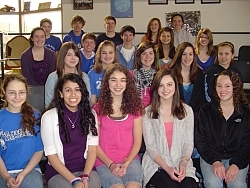 Grand Island residents interested in learning more about the IB Program are invited to attend a community forum held on Monday, April 5, 2010 from 6:30 p.m. � 8:00 p.m. in the Grand Island Middle School Little Theater. An additional meeting specifically for students and parents will follow in May and will address further questions relating to the IB curriculum. Grand Island High School staff members will provide a brief overview of the IB Program followed by an opportunity for residents to express their comments and questions directly to high school administration and staff. �We want the community to learn about the IB Program and the potential benefits it brings to Grand Island students.� states Robert Christmann, Superintendent of Grand Island Schools. �We�re excited about this possible opportunity for our students. The IB program reflects our vision for excellence in education by allowing them a different option to develop critical thinking skills and make connections between their course work and the �real world�, all while collaborating with others. It is another valuable academic program which our students may choose to pursue as they prepare for their continued education upon leaving Grand Island High School�. For further information about the IBO and its programs, visit www.ibo.org. Did you know Grand Island ranks first in Erie County for 911 domestic violence calls? Specialists Joseph Chudoba and Brian Mohr from the Erie County Sheriff�s Office Domestic Violence Unit will speak about the affects of domestic violence, its occurrence on Grand Island and how to recognize domestic violence in a friend or neighbor. Grand Island residents are invited to attend this special presentation on Thursday, April 8, 2010 at 6:15 p.m. � 8:00 p.m. in the Grand Island High School auditorium. Grand Island High School students will be hearing the same message in the near future. Domestic Violence knows no boundaries in regards to race, religion, sexual orientation, education or socio-economic status. Please plan to attend this most important event. Candidates interested in a seat on the Grand Island Board of Education must file nominating petitions with District Clerk Janet Schuster by 5pm April 19,2010. Twenty (20) valid signatures of district residents are required on a petition. Forms are available at the district offices located at 1100 Ransom Road from 8:30am to 3:30pm weekdays. There are two (2) three-year terms to be filled. The School Board election and budget vote will be held from 10am to 9pm May 18, 2010 in the High School Gym. Charlotte Sidway Elementary School invites all parents/guardians of September 2010 incoming Kindergarten students to attend �Getting Ready for Kindergarten Night� at 6:30 p.m. on April 8, 2010. This is an evening designed specifically with parents in mind. Teachers from Charlotte Sidway Elementary School will share an hour long presentation packed with helpful information about sending your child to school. This is especially helpful for families that may have questions about what can be done at home to prepare their child before the start of school. Charlotte Sidway Elementary School is located at 2451 Baseline Road, Grand Island, New York 14072. Screening is by appointment and may be scheduled when you register your child. If you have already registered, please call 773-8800 to schedule a screening appointment. Screening takes approximately an hour to complete. Your child will spend about 20 minutes with three different professionals. He/she will see one of our reading specialists for an assessment of his/her readiness skills. Your child will also meet with a speech therapist and a school nurse. It is important that you have record of your child�s physical exam and immunizations by that time. If you have a child turning five years of age on or before December 1 you have probably received a call to register your child. If you have not received this call and have a child eligible for Kindergarten, please call the District Office at 773-8800 so that your child can be registered. 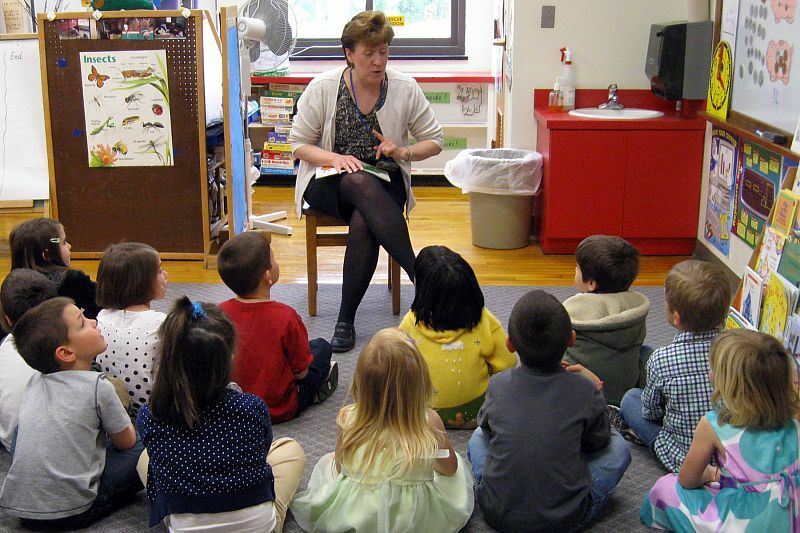 Sending your child to Kindergarten is a big step, but a very exciting time in your lives. Once your child is registered for Kindergarten the clock begins to tick and there are several dates which become very important for you. This is an evening designed with parents in mind. Teachers from Charlotte Sidway Elementary School will share helpful information about coming to school. The hour long presentation will begin at 6:30 p.m. This is especially helpful if you have questions about what you can do at home to help your child feel prepared before coming to school. This event is for both you and your child. The afternoon begins at 12:30 p.m. with a presentation for parents in the large gym and activities for children in the classrooms. The afternoon concludes with a short bus ride for you and your child. You will have an opportunity to meet several faculty and staff members and have any questions you may have answered. The Grand Island Board of Education is seeking ideas from residents on where to go with the local school budget. A school budget forum will be held on Tuesday, February 23, 2010 at 7:00 p.m. in the Grand Island High School Auditorium. Please attend this public meeting to hear about next year�s budget and give your input. This community-wide discussion will be helpful in constructing what is expected to be a very difficult budget to create for the 2010-2011 school year. We hope you can attend and we look forward to your input. The Board of Education wants input about the direction the residents wish to go: whether to make cuts (and what to cut) and/or raise taxes to preserve programs and staff. A severe budget crisis is looming for all schools in New York. Predictions for state funding are bleak. The Governor�s proposed budget includes a state aid reduction of $1.385 million for Grand Island. There are reports that the Governor will withhold money from schools this year. The Grand Island Central School District�s priority has been to try to avoid layoffs of teaching staff or cuts affecting our kids. However, a decrease in state aid means either cuts in school programs or tax increases, or both. The Board of Education has started the budget building process for next year - now is the time for your input. The educational program and the tax rates are at stake. As with some of the cost of living both at home and our businesses, the costs of school operations increase each year (such as gas, electric, health insurance, wages, pensions, etc.). When state aid does not cover such increases, the costs must be passed directly to local taxpayers as tax increases, unless program cuts are made. To reduce costs, the school could see cuts such as eliminating some classes, increasing class sizes, eliminating electives, reducing sports, cutting busing, or other cost reductions. All expenditures would be prioritized. Schools are �labor intensive� meaning that a large portion of their costs are wages and benefits. Most of these cuts reduce costs by laying off staff. In Grand Island, many of our employees live here. That makes the choice even more difficult, although laws make all personnel cuts based on seniority. The Grand Island Central School District is now accepting Universal Pre-kindergarten applications for 2010-2011. �	Your child must be 4 years old no later than December 1, 2010 in order to be eligible. 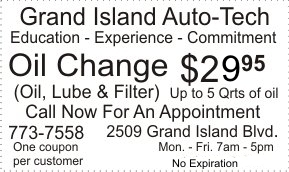 �	You must be a Grand Island resident. �	Half-day sessions, five-days per week, are offered at Charlotte Sidway Elementary School (morning and afternoon) and at least one island child care center (morning only). The application deadline is May 28, 2010. Lottery will be held June 10, 2010. Grand Island Community Education classes for Winter 2010 will begin on January 25th. Walk-in registrations will be held on the same day from 6:00-7:00 p.m. in the foyer of the Grand Island high school on Ransom Road. The Bridge /Community Education brochures were mailed to Grand Island residents the week of December 28th. The Grand Island Central School District Board of Education would like to invite all alumni from the graduating classes of 2007, 2008 and 2009 to attend an upcoming linkage meeting for constructive conversation. The meeting will be held on Tuesday, January 5, 2010 from 6:30 p.m. to 8:00 p.m. in the Grand Island High School Senior Cafeteria and will allow alumni the opportunity to share their thoughts on what the district is doing right and what they feel can be done better. See School Board Sets Alumni Meeting for complete information.